One of the most popular social media platforms for B2B marketers at small to mid-size companies is Twitter. Twitter offers marketers an inexpensive opportunity to share content with anyone who follows their company’s Twitter feed. And with more than 270 million active users, Twitter provides a great opportunity to create awareness at the top of the funnel for a very large potential audience. Sounds great, right? But hold on…the key is to have followers. The information and content your business tweets is only seen by your followers. So how do you get people to follow your company on Twitter? Before following your business, most people will look at your company’s profile. Make sure it is visually appealing, tells the reader who you are and provides a reason for them to follow you. Use your logo and a concise message. Some companies change their profile graphics on a regular basis. For example, every time I visit the HubSpot profile, it has a different graphic – usually one that is promoting some type of premium content. Here’s how it looks today. If you look again next week, it may be different. The important thing is that the graphics are eye-catching and the text provides enough information for a potential follower to understand what you’re about. Twitter feeds are constantly changing. If you look at your feed right now, it will be completely different in two hours. The tweets that are there now will be buried by new ones. In order to keep your message near the top, you need to tweet 24/7. That doesn’t mean you have to be typing tweets at all hours of the night. It means that you have to execute a strategy and plan to share your message using a tool that will help you automate the process. Plan ahead. Based on your overall strategy, create tweets ahead of time using a tool like HootSuite or Buffer. At Imagine Business Development, we use HubSpot’s Social Inbox. It allows us to schedule tweets weeks in advance if we want to. With a little bit of planning, you can be tweeting 24/7 without too much work. Your list of followers will grow faster if you make it easy for people to follow you. 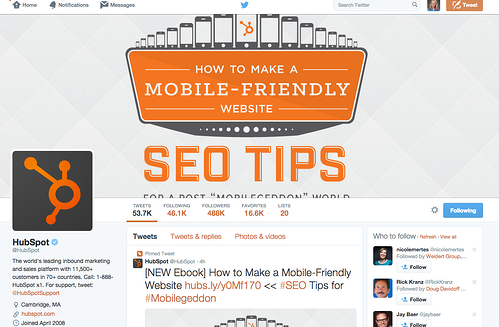 Place Twitter follow buttons on your homepage, your blog and in the about us section of your website. Also include it in email messages. If your readers find your content engaging, it will be easy for them to start following you and accessing your content on a regular basis through their own Twitter feeds. For example at Imagine, we include Twitter follow buttons on the top right of our blog’s homepage. When you’re done reading this post, click on the button and just like that, you’ll be an Imagine Twitter follower. It can be that easy for your prospects too. Following others can be a great way to grow your own list of followers. Start by identifying industry leaders and follow them. Use the search feature in Twitter to find bios that include your keywords. Follow the people you already know including business associates, competitors and professional associations. Not only will this help to grow your followers, it will also help you plan your content strategy when you see what others in your industry are tweeting about. Another easy way to find followers is to search for hashtags that your buyer personas follow. Additionally, Twitter has a “Who to Follow” feature that can be useful. As part of your inbound marketing strategy, you are creating content all of the time for your buyer personas. This includes blog posts, white papers, ebooks, case studies, etc. All of this content should be shared on Twitter. Make writing tweets part of the process. For example, at Imagine when we finish a blog post, the copywriter also writes five tweets that go with the post. We do the same for our premium content. This helps to drive our Twitter followers to the content we’ve worked so hard to create for them. Hopefully, it will also be shared or retweeted and lead to new followers. 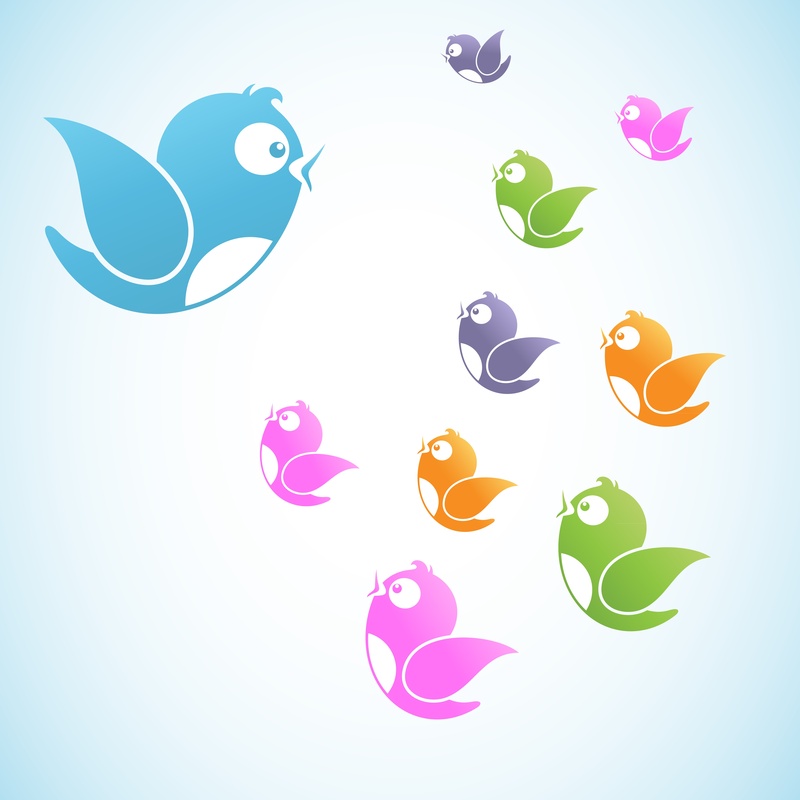 Twitter can be a crucial part of your inbound marketing strategy. Use these quick tips to start growing your followers today.